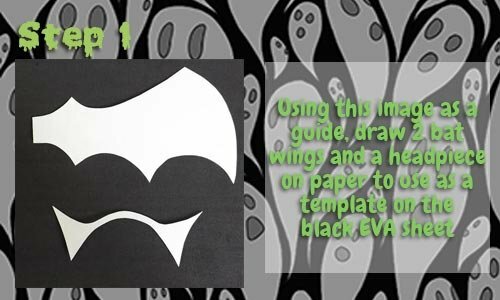 Using the image as a guide, draw the wing and ear shapes onto a piece of scrap paper and use this as a template to trace onto your black EVA sheet. 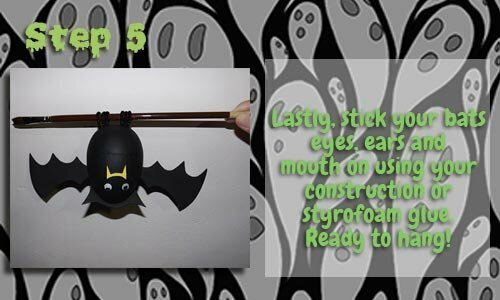 The wings are about 10 cm in length and the ears / headpiece around 8cm. Cut the traced shapes from the black EVA sheet. Next, make a slot on each side of the bats body for the wings to fit into. Cut six equal lengths out of the black chenille stem and push them into the bottom of the egg for the feet. Curl these bat feet around a pencil or brush to ensure your bat will hang in the way you like. 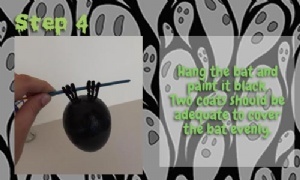 While it is still hanging, paint the entire bat black. 2 coats should cover the polystyrene nicely. 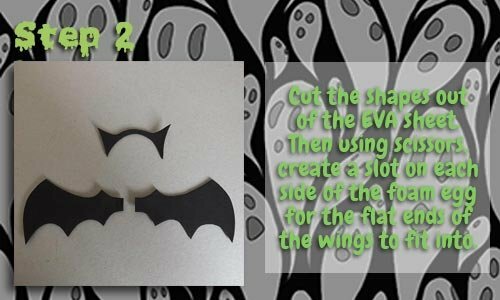 Stick the wings into the slots you made earlier. 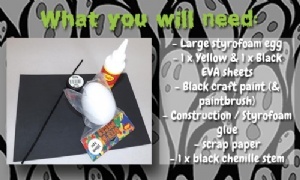 Cut a mouth out of the yellow EVA sheet and stick it in place. Lastly stick the googley eyes on. 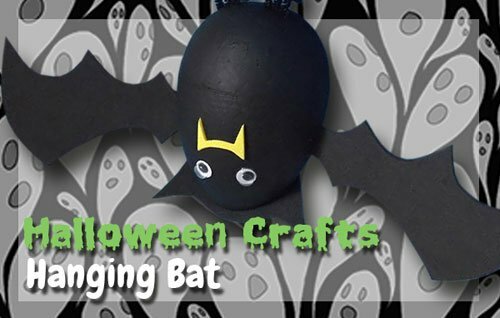 Now your bat is ready to hang! 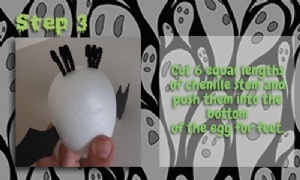 This item has 633 views.